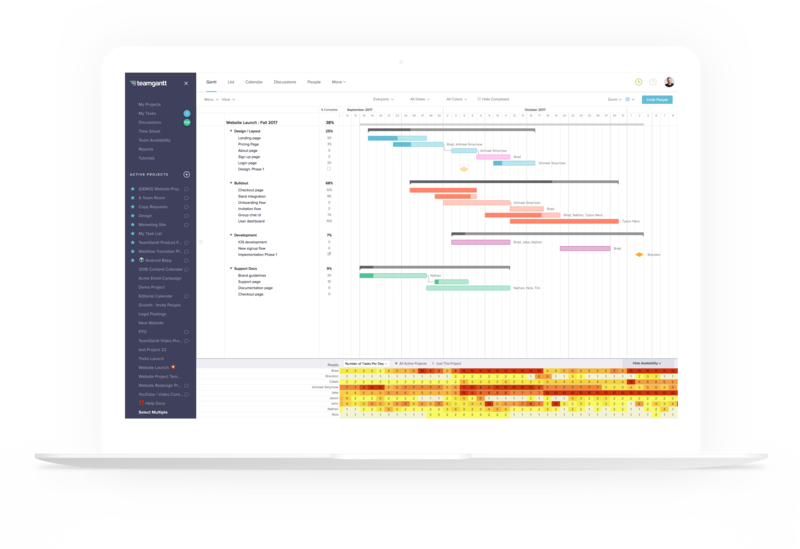 Keep track of your construction projects, subcontractors, and job hours in one gantt chart view with TeamGantt’s free online construction scheduling software. Let’s be honest, you don’t have time to learn new complicated construction scheduling software. With TeamGantt, you can load job schedules in minutes and begin using the gantt chart immediately. On the job, roadblocks happen. You need construction project management software that responds quickly so you can focus on the task at hand instead of updating a slow, outdated project planning tool. Why not start right now? 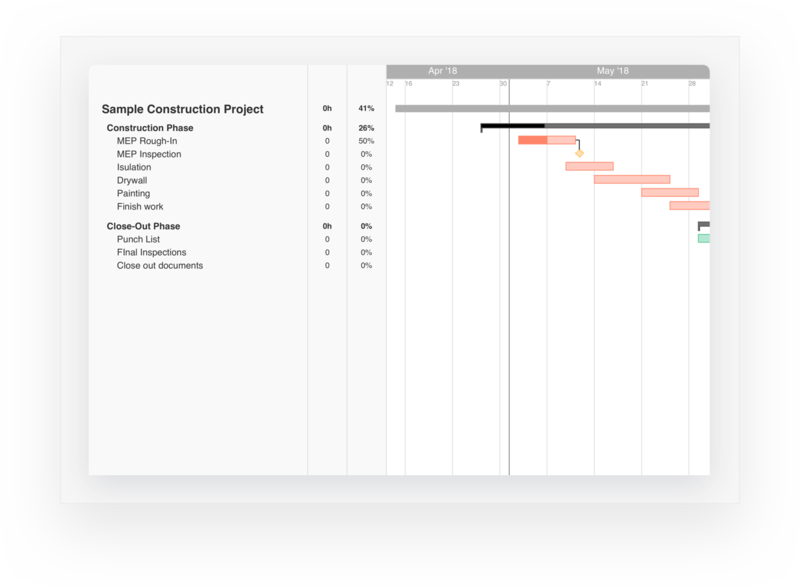 See all your construction projects—complete with milestones and color-coding for tasks—in one gantt chart view. 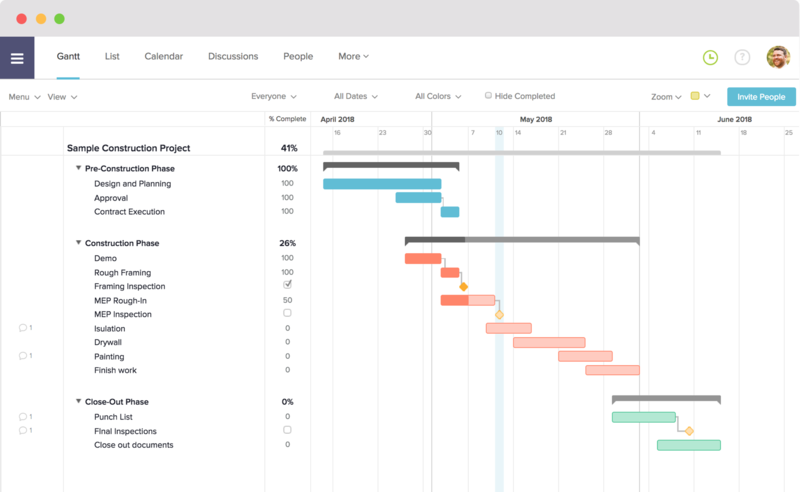 No other construction project management software will give you the big picture like TeamGantt. Don’t believe us? Try it for free now. Gathering your team and allocating your resources for the job site couldn’t get any easier with our construction gantt chart software. TeamGantt will help you know exactly what each subcontractor is working on at all times within a construction project schedule. See all your jobs and subcontractors’ hours in a single unified view—it’s the perfect, no-hassle construction scheduling software for owners. Whether you're in the office or in the field, our web-based construction project management software lets you access your plans, files, and communications from any device. You can take pictures with your phone and upload them directly into the construction planning software so others can instantly see your files and communications. You can filter your projects by resource or subcontractor, then export their construction project schedules to PDFs and send it to directly to them. 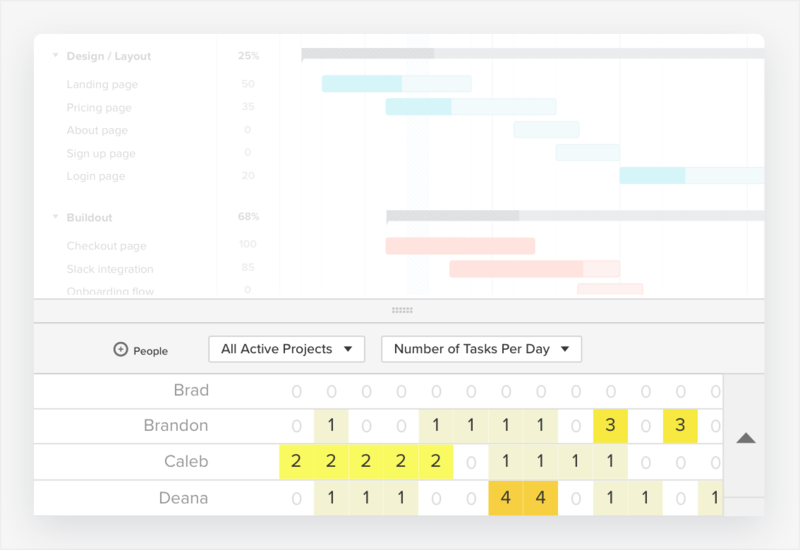 With TeamGantt, each member of your construction team will know exactly what they should be working on for each job. TeamGantt has a variety of other features for your construction jobs. Discover all of its capabilities for your construction project management needs on our features page. 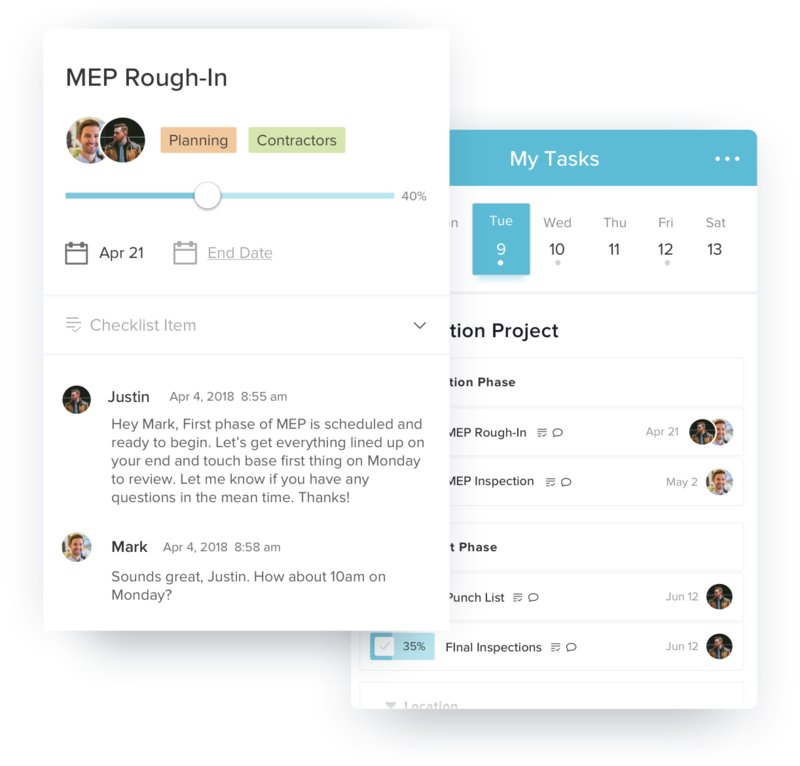 With TeamGantt, you can start planning with our free version of construction project management software (no download actually required since it’s web-based software). When you're ready to go beyond 1 project or 3 users, you can easily expand to our low-cost construction project management software. Get more detail on our pricing page. 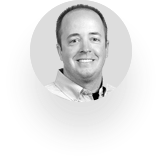 Why pay for overpriced construction scheduling software?